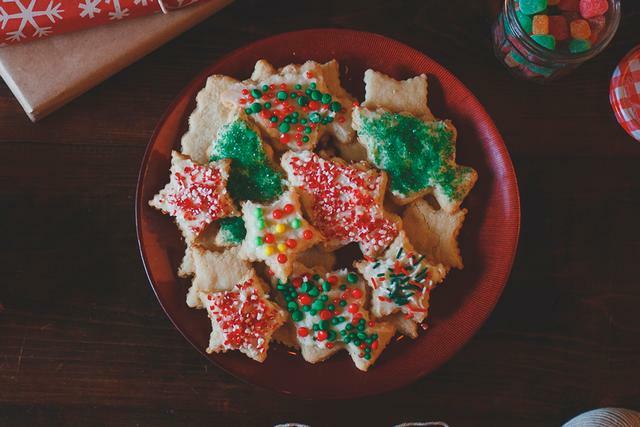 Let’s be honest…Santa’s not the only one would craves cookies and sweet treats come Christmastime. Make you’re sweet tooth love your forever with these 4 sweet holiday treats using our White Chocolate Peppermint Wind & Willow Cheeseball & Desert mix. Combine Cheeseball Mix and topping packet with cream cheese and whipped topping. Stir until well combined. Use half of the brownies and divide among your 6 glasses. Top the layer of brownies with about 2 1⁄2 Tbs of cream cheese mixture. Sprinkle with 1 1⁄2 tsp of topping. Repeat layers. 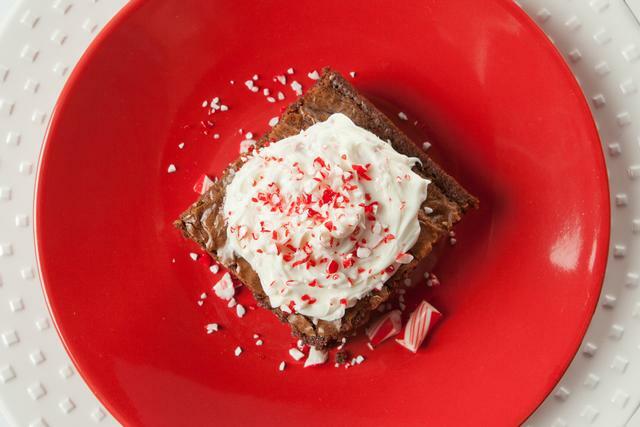 Top with additional peppermint candies or chocolate shavings. Makes about 6 servings. 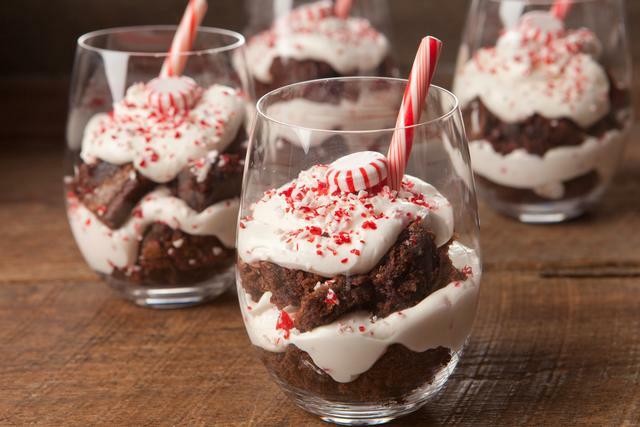 Optional: Make 12 or more mini-desserts by using shot glasses or other small glass containers! Combine Cheeseball Mix with cream cheese. Spoon approximately two tablespoons of the mixture on to each cookie. Sprinkle with peppermint topping packet. Use a variety of candies and sprinkles to make each cookie extra special! Combine Mix with cream cheese and whipped topping. Stir until well combined. Top brownies with mixture and sprinkle with Topping packet for garnish. Enjoy! Heat oven to 350°F. Press dough evenly in bottom of a greased 12″ round pan to form crust. Bake 16 to 20 minutes or until golden brown. Set aside and let cool. Meanwhile combine Cheeseball Mix with cream cheese and butter until smooth. Spread mixture on crust and sprinkle with Topping packet. Top with nuts, seeds and candies! Refrigerate until ready to serve! 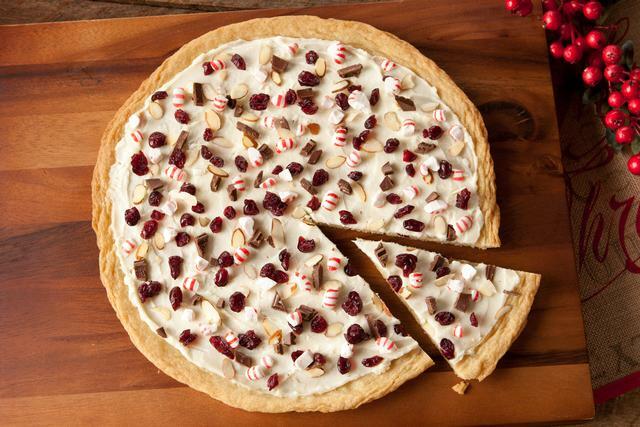 Shown above with cranberries, chocolate, and crushed peppermints. Shop more Wind & Willow Mixes right here at Prairie Gardens in Champaign, IL. Nothing’s better than snuggling up with a blanket and a warm cup of soup on a winter day. You grab the blanket, we’ll provide the soup with our delicious Wind and Willow mixes! View the flavors, special recipes, plus, our mulling spice line for hot cider. It’s time to gather round! Whip up these easy appetizer recipes using some of our favorite flavors from our Wind & Willow Collection. They may be small bites, but they’ll go over big with friends and family.